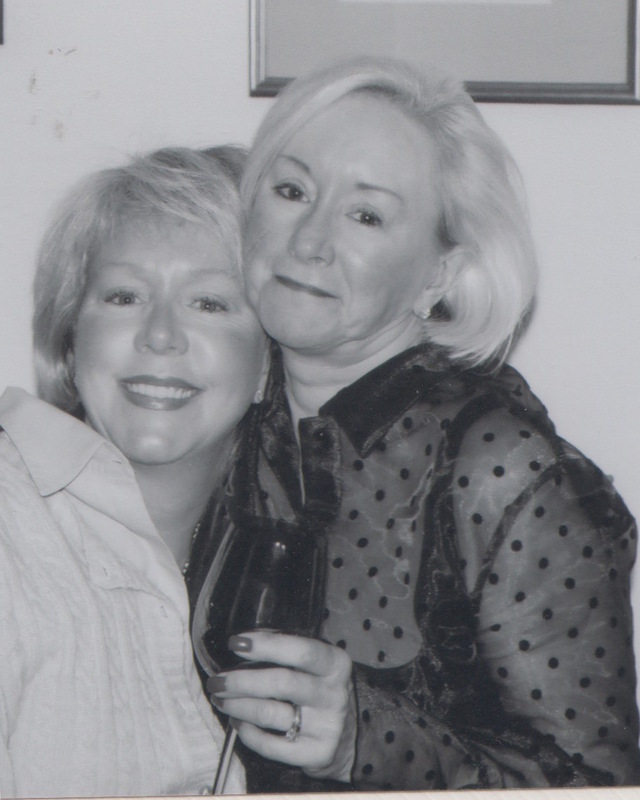 The news had to be bad because the doctor, the one we had never met before, would not look at or speak to us as she led my mother and me through the hallways of the ICU, still decorated with the last gasps of a hospital Christmas. She told us she would find us a private place where we could “talk” and we numbly followed her. She’d open each new door expectantly, only to sigh and say, “Ah, no, not this one, either” as if the lack of available rooms exhausted her, and not the imposition of telling people terrible news about their loved ones. Eventually the doctor abandoned this pretense to privacy and led us back to the ICU family lounge, currently occupied by a family of six. They’d been there since we’d been there, since Christmas Eve. They made themselves at home with pillows and magazines, the remnants of Happy Meals and half-finished board games. I could tell this was the part the doctor hated most—the naked emotion woven into the fabric of her profession. She was a woman of science and facts; she didn’t go to medical school to make sad people feel less sad. But still, here we all were. You have to deal with us now. I do not say this out loud. I remember wishing that I was hanging out with the family of six just then, with their board games and their cold, greasy fries, because they were still in that suspended state of not-knowing. 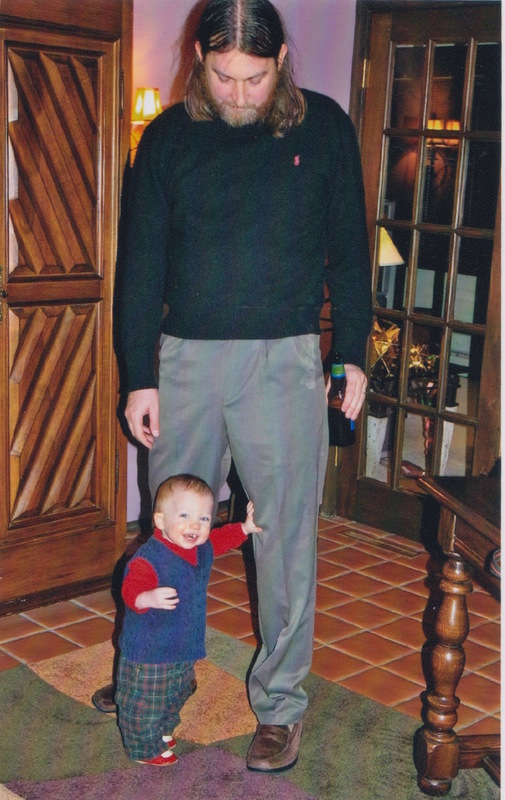 I wanted to be them and not the person who was about to know what I was about to know, and what I was about to know was this: my father was not going to wake up. My parents have been holding Christmas Eve parties for years, a detail worth noting only because my father was raised an Orthodox Jew. My brother and I were raised Jewish, too, the kind of Jewish that results in a Bat Mitzvah and two years at Hebrew High, and which is worth noting only because my father married an unconverted Protestant, thus rendering us, technically speaking, not Jewish at all. Of course, my mother never had much attachment to her Protestantism and gamely attended Rosh Hashanah and Yom Kippur services at Ohev Sholom, the reform synagogue that performed my parents’ wedding ceremony, with the requisite solemnity, and made potato latkes the way she was taught to by the Sisterhood. Every spring my father beamed across the seder table when my mother’s matzo balls floated in their chicken broth. My mother embraced Judaism and its ceremony and had almost no nostalgia for the religion of her youth except in one thing: the pageantry of Christmas. 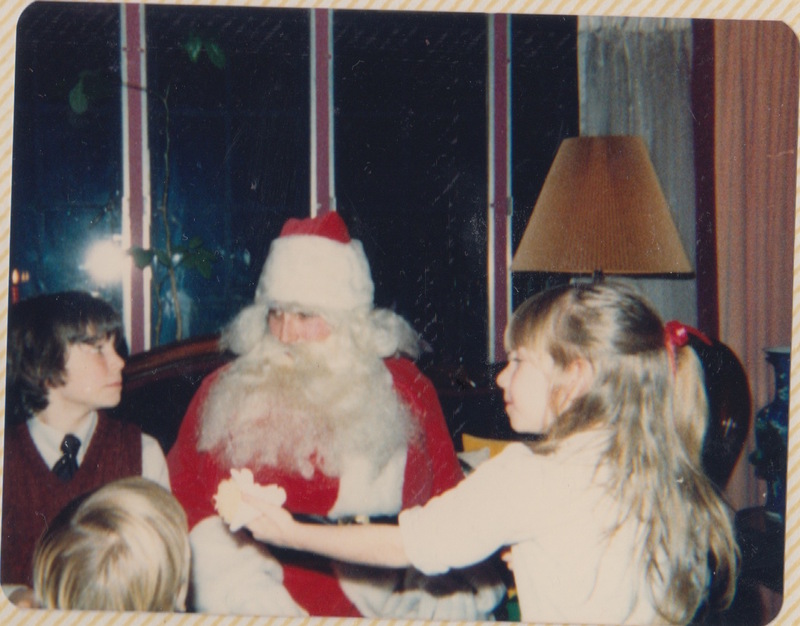 My father indulged her in this, allowing for the Christmas tree, wreaths, stockings, and even, one memorable Christmas Eve back in the 1980s, a visit from Santa. 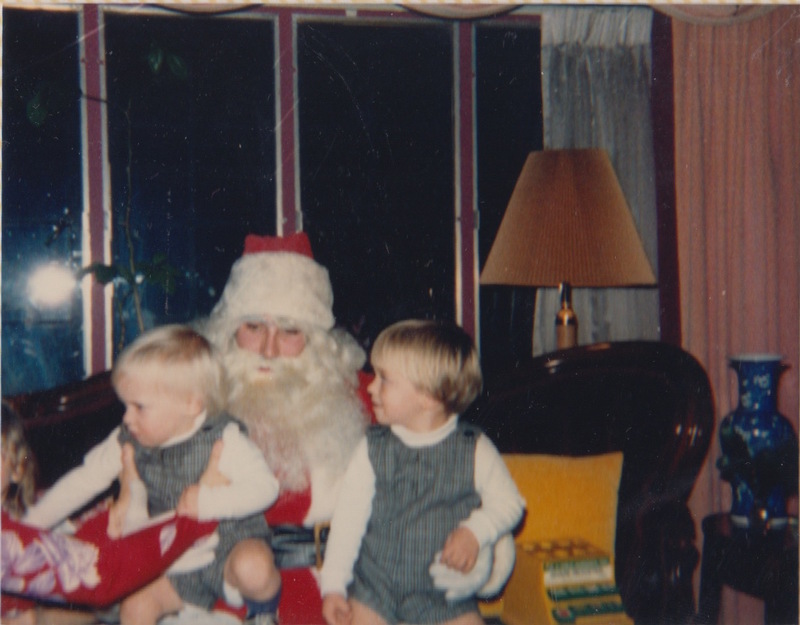 Still, the origins of my parents’ annual Christmas Eve parties is a subject of dispute. My mother claims it can all be traced back to me returning home from college one winter break and asking if I could have a few friends over. “The Christmas Eve party just progressed from there,” she tells me, after I give her the first draft of this story to read, “it was your idea.” But that’s not how I remember it. I remember the Christmas Eve parties replacing an earlier era of Christmas Eves, nights when cousins in footie pajamas made blanket forts behind the couches, and grandparents and aunts and uncles, deep into a good meal and bottles of wine and photo albums, would lay out plates of cookies for Santa, always remembering to take a few good bites out before morning. 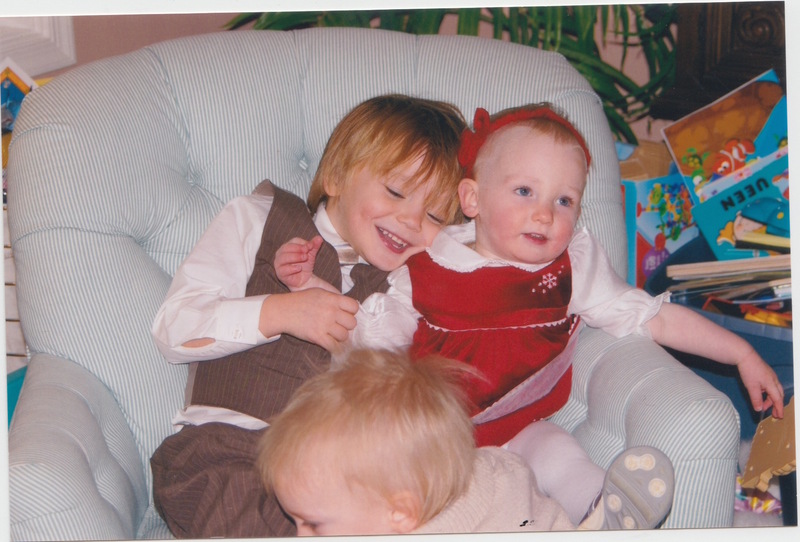 Those were the Christmas Eves of my youth. “Don’t most people go to church or something on Christmas Eve?” I remember asking her, long after the Christmas Eve parties became ritual. My children, coaxed into holiday-themed outfits, are playing with their cousins somewhere—the kitchen, the basement—and trying very hard not to untuck their shirts or muss their hair. My husband and brother are in the living room, drinking from squat bar glasses, and arguing about Obama and foreign policy. My mother is in the kitchen, carrying platters of hors d’oeuvres, specially ordered for the night, into the dining room. Several hours later, worried aunts and cousins and family friends, anxious for a way to be helpful, will pack up all these uneaten platters of food– I only remember the spring rolls, sliced at a diagonal, arrayed on a tray fringed with thin-cut carrots– into Tupperware and Ziploc bags, stacking them in neat columns in the fridge. Three days later we will throw it all away with little ceremony. 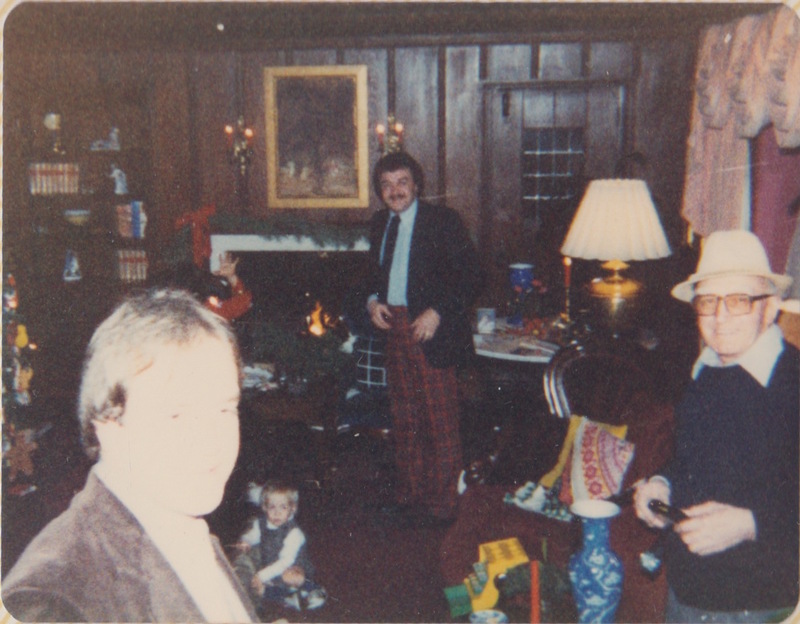 The final character in this scene, my father, clean-shaven and dressed by my mother in a red sweater and pressed pants, is shuffling slowly along the perimeter of the dining room table, eating the hors d’oeuvres as quickly as my mother lays them out. He selects a spring roll, and places the whole thing in his mouth. My mother yells, “Did you just stick that whole thing in your mouth?” She sounds amused and annoyed. My mother is a wreck because a rabbi from a synagogue that is not our own, a far more Jewish synagogue, will be coming to our house later that night to counsel our family about my father’s funeral and, to my mother’s horror, our Christmas decorations are still up. The rabbi from our own, less Jewish synagogue is vacationing in Florida for Christmas, which is a great time for rabbis to take their vacations, but which is highly inconvenient when your Jewish father chokes to death during his own Christmas Eve Party. “I just don’t see why I have to pack up all the decorations today,” I ask, not as gently as I meant to. My mother will not embarrass my father this way, with her Christmas trees and holly wreaths, in front of this new rabbi. And so I crouch down on the terra cotta carpet and begin to carefully wrap each Christmas ornament as I remove them from the tree. A few hours later we will go to the hospital and end my father’s life. But I’m skipping ahead, past the worst part. Let’s go back to the final minutes before the start of my father’s last Christmas Eve Party. It’s December 24th, 2011. I’m still in the den, talking with someone who is surely my sister-in-law, and everyone else is exactly where I said they were—in the living room with squat glasses, in the basement in Christmas sweaters, in the kitchen with platters, in the dining room with the spring rolls, like a game of Clue. I can hear that something’s wrong before I see it: the sounds of legs moving quickly, of gravity reclaiming bodies, of my mother on the cusp of a scream. It is all happening in the dining room. But how did I get to the dining room? Did I run or did I walk? I don’t know. I’m just there watching my husband drape my father’s large frame over one of my mother’s carved mahogany chairs, the ones she bought just after she and my father moved into the two-story Tudor where my brother and I were born. We are in a different house now and in this house, the two-story Spanish colonial that sits empty now, my brother is assisting my husband. They are trying to perform the Heimlich maneuver on my father. But my father is large and his body becomes a rag doll, sliding to the carpet, which is terra cotta-colored and stain resistant. My mother is yelling, I think. I’m pretty sure I’m not saying anything, but I might be yelling too. What’s next, what’s next? Cut to a close up of my father’s eyes, which are wide and wild. Now cut from my father’s eyes to me, looking worried, and then to my brother, and then my husband. I don’t know where my mother is, she is off-screen for now. But I can hear her: “Oh my God, Oh my God, Oh my God.” Cut to me running into the kitchen to call 9-1-1. The person who picks up the 9-1-1 call is a woman, or possibly a man. The person on the phone tells me what to tell my brother and my husband. I tell my brother and my husband, “Put your hand inside his mouth and see if there’s any debris in his throat,” and I am surprised when my brother complies. Seconds later, my father bites down hard and my brother swears. I can tell he feels bad for swearing. His hand is bleeding and now it’s important that the terra cotta carpet is stain resistant. The person on the phone, who could be a man or a woman, is patient and I’m trying to be patient too. But out of the corner of my eye I see my son, who is not yet two, stumbling around in his Christmas sweater, only without his pants. Where are his pants, I think. Someone needs to change his diaper, when did I last change his diaper? And I try hard to remember. But then I also remember that I am still on the phone with a person who is trying to tell me how to tell my husband and my brother how to clear a spring roll from the lungs of a 72-year-old man who is now, officially, no longer breathing. How long has he not been breathing? I don’t know if I ask this question out loud, or if I just think it, or if it’s the person on the phone, or my mother, or everyone. Then the doorbell rings because, of course, we are having a Christmas Eve Party for the Jews and it’s now 6:00pm and they’re here. They arrive with bottles of wine and fur coats, and I tell them, without any context, “The ambulance is here!” I don’t stay to see their response. Ten minutes later, my father is riding alone in the back of the ambulance. They won’t let my mother come. They don’t want to her to see what they will need to do on the way to the hospital. Our guests are now arriving in pairs and quartets, smelling of high-end perfume and aftershave and the sharp December air. They watch us leave the house, one by one, following the ambulance away from our house and to the E.R. Their mouths are straight lines. I don’t want to be in the room for it. Instead, I sit alone in the lounge, two seats over from the family of six. In the movie version of this moment, I’m watching the family of six with tears welling in my eyes. They are eating McDonald’s and playing Parcheesi, no, Monopoly. They are playing Monopoly. And I am watching them with tears in my eyes, wishing that their smelly fast food wasn’t polluting my grief. My mother and brother are in the room for it. They are holding my father’s hands, watching as the device that inflates and deflates his lungs like a bellows slows its mechanical motion, as the IV fluids cease their dripping, as the monitors and plugs and the tubing are pulled, soft and glistening, from my father’s mouth and his nose, so that his lips might close and touch once again. But I’m not there. I’m in the lounge and like my father, I’m holding my breath, waiting. And when a nurse I’ve never met before enters the lounge with a small paper cup of water, I know she is here for me, and she is. She places a hand on my knee and looks me in the eyes. I think about how nurses are so much better at this than doctors are, and I wonder why that’s the case. Then she says to me, “Ms. Klein?” with her eyebrows raised, as if I might be someone other than the daughter of the man who has just died. “You can come in the room now,” she tells me. I follow her out of the lounge and the family of six does not notice my coming or my going. I will not be a part of the story they will later tell themselves about this December. They are still holding their breath. Amanda Ann Klein is co-editor of Tell Us A Story and Associate Professor of film studies in the English Department at East Carolina University. Her fiction has been published by Word Riot, The Rumpus, The Fat City Review and Geeked Magazine. Her scholarship on media and culture has been published by The New Yorker, Salon, Avidly and numerous academic journals and anthologies. You can read her other blog here. I don’t know what to say about this story. Of course it’s gut-wrenchingly sad. Of course you have the characterizations down so vividly and real-ly. But the way you tell it, the details, and the moment of greatest horror when the guests keep coming though your father is dying. I felt a laugh burst from me and I know that could be seen as inappropriate and impolite and even blasphemous. And yet, that is what life and death are like. 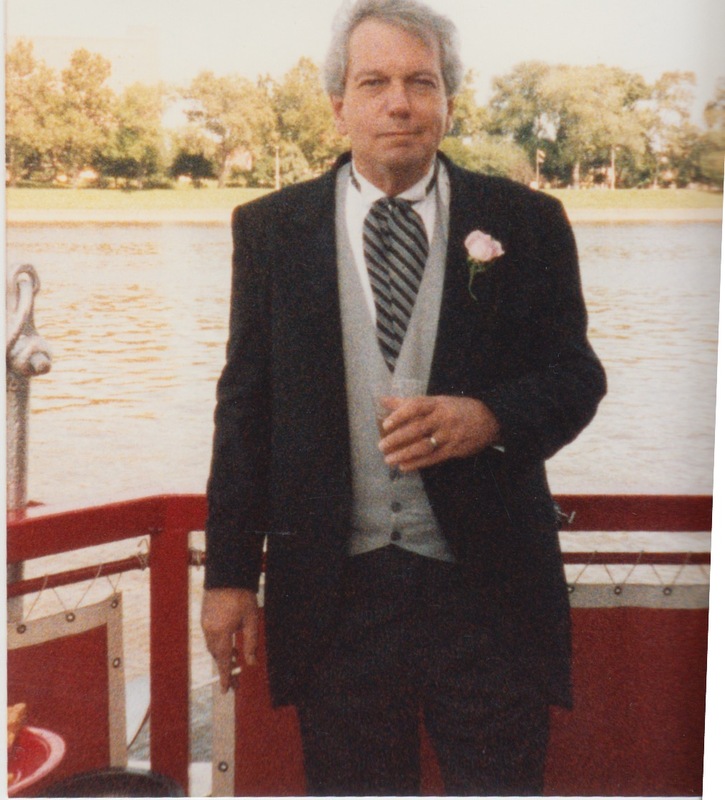 My Jewish father died on Christmas Eve 15 years ago. And his cousin brought me corned beef at the funeral. It’s just what we do! Beautifully told. And of course comedy and tragedy are always interwoven in matters of death as with life. Beautifully told. Devastating. I’m sorry for your loss. If you hear a sob from my office you know why.